Tim Holtz Idea-ology VOLUME 3 A COMPENDIUM OF CURIOSITIES Book Three TH93135 at Simon Says STAMP! TH93135 /12.9 This item is on reserve until If you would like to reserve this item now, you may purchase it now with the rest of your order. We will hold your order now and ship your entire order as soon as this item is back into stock. If you would like your order to ship now, please place this item on a separate order. 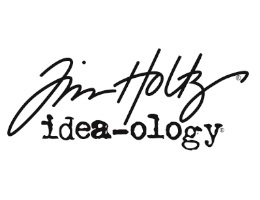 Success, Tim Holtz Idea-ology VOLUME 3 A COMPENDIUM OF CURIOSITIES Book Three TH93135 has been shared! Get ready to embark on a journey filled with ideas and inspirations to spark your creative curiosities. This compendium is a compilation of Tim Holtz's thoughts and ideas to guide you through your own artistic adventures. Tim Holtz wanted this book to be different though...not your ordinary how to make book, but rather how to create. Tim believes that everyone is truly creative whether they think it or not and this book shares not only ideas on all things idea-ology, but step by step techniques on using some of of his favorite Ranger products. Now, what can be better that that? The book measures approximately 8.75 inches by 8.5 inches. It is spiral bound so you can lay it flat on your workspace in order to absorb the inspiration easier! Includes 75 pages of ideas, inspiration, and how-to's!